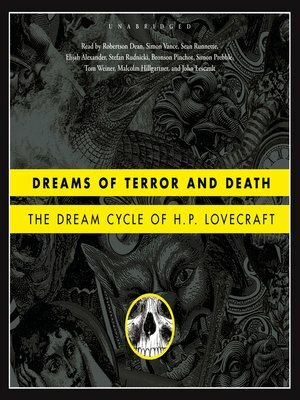 The only audio edition of Dreams of Terror and Death authorized by the H. P. Lovecraft Estate! The Statement of Randolph Carter—"You fool, Warren is dead!" The Cats of Ulthar—In Ulthar, no man may kill a cat ... and woe unto any who tries. Plus twenty more tales of surreal terror!